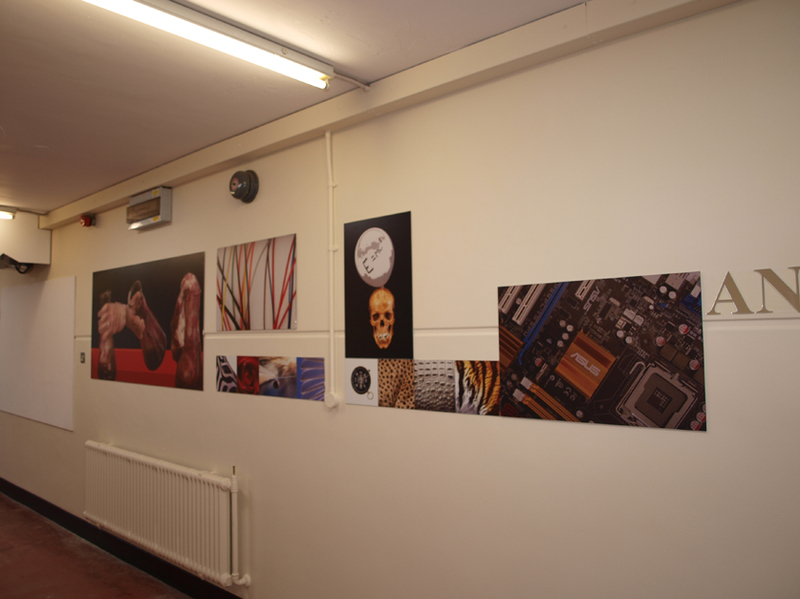 Jac Scott worked with the science department in Ulverston Victoria High School, Cumbria to transform the bland extensive corridors into an animated new media intersection that reflected the school’s dynamic relationship with the subject. First phase focused on bringing the staff and students together to explore what science was and how it affected our lives. Phase two concentrated the enquiry on a new way of depicting scientific formulas through the creation of a visual language. Commissioned by Creative Partnerships and Ulverston Victoria High School.